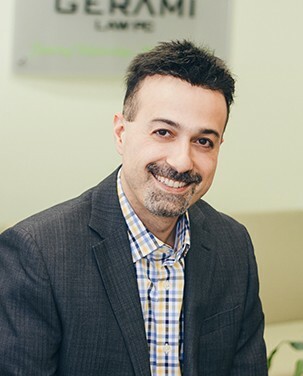 Ali Manouchehri is a senior Information Technology consultant, specializing in the area of Database Management Systems running on IBM DB2 LUW platform. Over the past 17 years, he has been a consultant to prominent companies such as Manulife Financial, CN, Royal Bank, Scotiabank, IBM, Department of National Defence (DND) and Canada Border Services Agency (CBSA). Ali has held consulting positions in Canada, USA and France, and he holds a Canadian Secret Clearance. Ali is fluent in English, French and Farsi. Since the start up of Gerami Law PC, Ali has been involved as the director of Information Systems. He has been and continues to ensure that the end-to-end technology platform on which Gerami Law PC runs on is secure, well maintained and cost effective. Ali is responsible for the design, maintenance and upgrade of the Gerami Law PC website and supports all hardware infrastructure including desktop computers, printing, high speed network and the telephony systems. Ali is very excited to support and to maintain its position as one of Canada’s best immigration law firms.